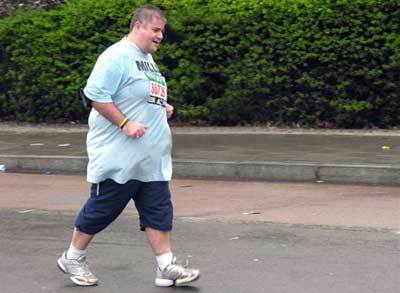 Too many overweight people think that they could never go through jogging without feeling tired in a matter of seconds. Though it is true most of the time, one should not be discouraged about it, as most people get tired in a matter of a few minutes. Jogging is never comfortable, and even thin people find it uncomfortable, especially when they start feeling fatigued. What makes overweight people different from others is that it takes shorter time for them to start feeling the discomfort of jogging, so they give up quite easily. Overweight people are usually seen inside a gym, using different exercising machines that will help them lose weight, but it is unusual to find them in the streets, jogging. A healthy mindset will always help in creating the wanted outcome, and aside from that, there are other things that will overcome the hardships of jogging. Jogging helps not only in losing weight, but also in making a person have swifter moves. However, it should be taken lightly by those who are ‘inexperienced,’ and go through the process only when he is ready for longer periods of jogging. Trying to lose weight with vigorous jogging, or in this case, running, will only result to feeling worn out quickly, and for the effort to not have a positive result. Many have lost their extra weight through jogging alone, so if you are aiming to weigh loss, then you could start jogging. It is understandable that all types of exercises are tiring, but there is nothing else that you can do, aside from sweating the fats out of your system, and lives healthily. Though the technology today permits for one to lose weight easily, it isn’t all that, as it will still leave you unhealthy. The great thing about exercising is that you get to lose weight without compromising your health. Starters must start small, and set goals that will help them attain good shapes. For example, if you are thinking of losing weight through jogging and have no previous experiences with it, then you can cover a few meters first before going through longer routes. It will also help that you start with a 4 mph walk before adding a half mile as you progress. It is common to find overweight people running too fast, resulting to them running out of breath easily or worse, complain of heart failure. Slow down, and if needed, go for jogs in 4 mph speed. This will seem to be too slow, but it will definitely be more helpful than tiring you out within a short time. Once you are experienced, then cover longer distances, and at a faster rate. It may seem dull pace, especially as you are trying to lose weight, but it is simply the way it works. Every trainer would tell you to tone it down and then progress as time passes. Listen and you will surely get the results you want. Find the proper pace that you will be able to keep up with, and don’t complicate it by changing every now and then. You must also remember that it is not about speed, but about losing the excess weight. Being a runner means that you have to be disciplined. It is truly hard to jog, but if you have the mindset that it will never work and that you will not be able to do it, then it really wouldn’t. What you have to do is to think of your goal, and the reward that you will get after the activity. Focus, and always tell yourself that you can do it and that you will never give up. Also, get a good pair of running shoes. Never resort to the cheap ones because these pairs might only cause for you to have injuries that will prevent you from jogging even more. You don’t even need those expensive gears marketed for running such as the heart rate monitor and sunglasses – you can definitely run without them. However, it would be hard for you to jog around without a good pair of shoes, so make sure that they are in good condition before jogging. It must be comfortable and fits your feet snugly to prevent accidents. It is also a must that your clothes be comfortable. To make you feel better about jogging, you might want someone to accompany you. You could definitely run without anyone accompanying you, but it would make you feel more comfortable. If none of your friends or family could go with you, then have a healthy relationship with another that you always see jogging around the same route. That way, you could lose weight and acquaint yourself with other people. Consistency is one thing that you must have to lose weight. Aside from that, you must also remember to eat moderately, and to consume healthy foods to lose weight, as losing weight is a combination of proper nutrition and exercising. There will also be times when you would miss out on jogging, and it is pretty normal, so don’t stress out because of it. As long as you are motivated and train accordingly, then you will be able to achieve your goals. It doesn’t matter how thin or fat you may be. Anyone can run, although one may be slower than the other. Weight is never a factor in running, and also in achieving physical fitness. No one loses weight overnight in a healthy manner, so don’t lose confidence in losing the extra weight, just because it seems like nothing is happening. Intense runs that last for more than two hours and at a fast speed are only for those who have enough experiences with it. As a newbie, you have to tone it down a lot, and to go for faster runs once you know that you could do it. The intensity of the jog will only make you tired, and might not even help you to lose weight at all. Never try to over-exercise because it will not help at all. This post was guest-authored by Felix Ankersen , a contributor from RatingDietPlans.com . 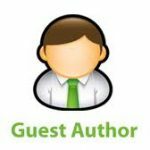 If you would like to write for HealthResource4u, check our guest submission guidelines.